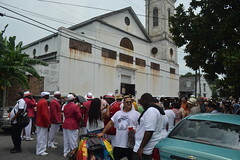 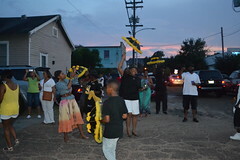 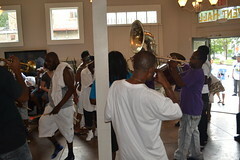 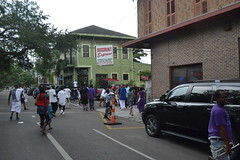 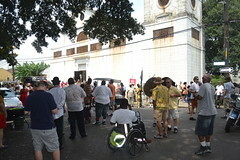 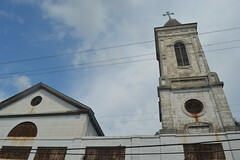 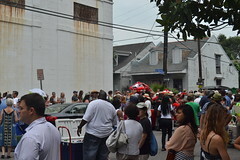 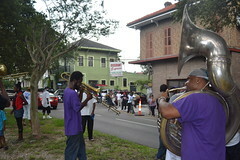 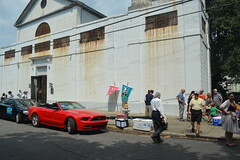 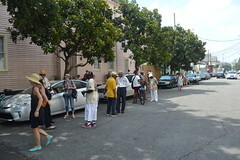 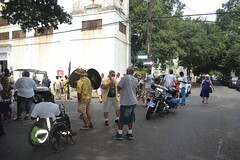 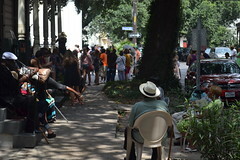 This year’s Satchmo SummerFest second-line was supposed to start at 12:30, but it didn’t, because the preceding jazz mass at St. Augustine’s Church ran long. 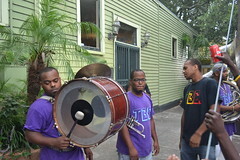 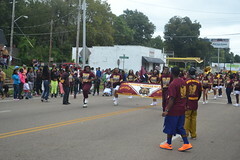 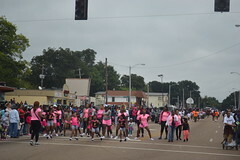 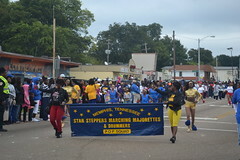 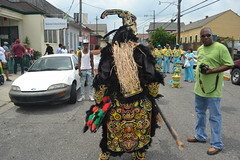 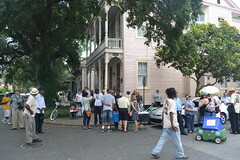 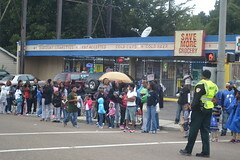 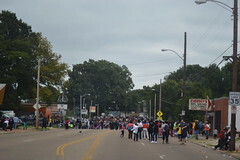 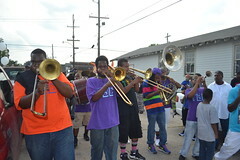 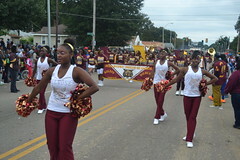 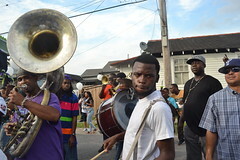 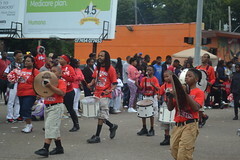 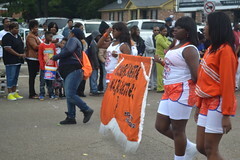 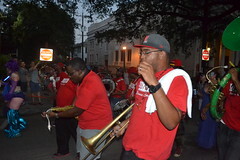 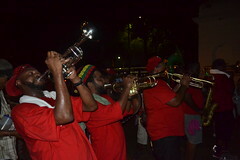 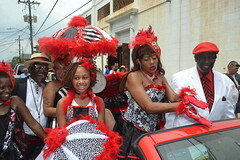 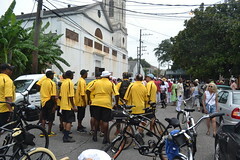 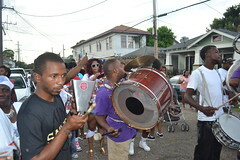 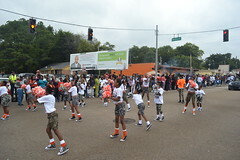 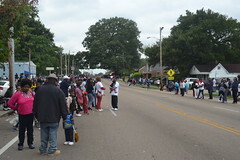 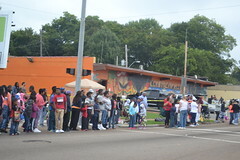 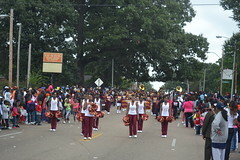 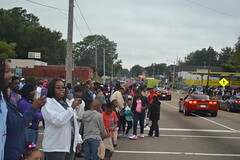 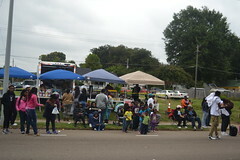 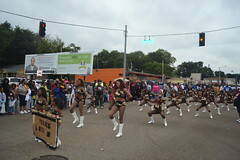 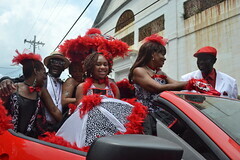 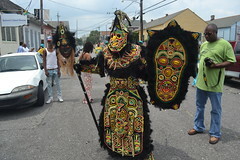 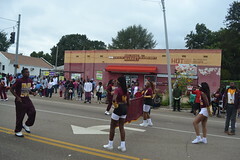 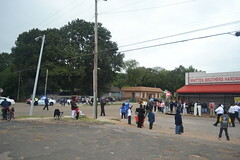 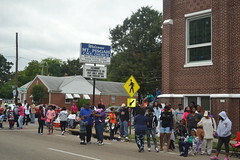 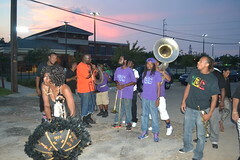 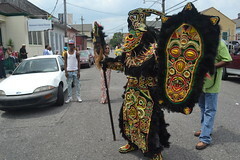 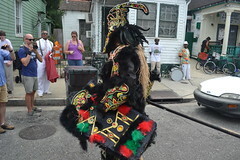 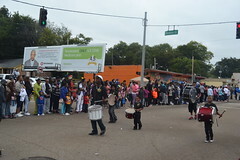 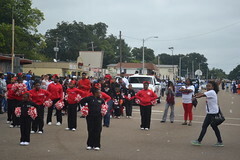 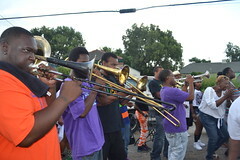 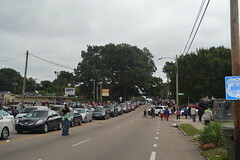 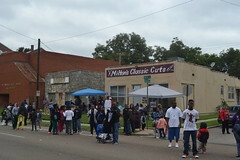 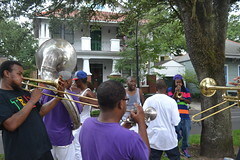 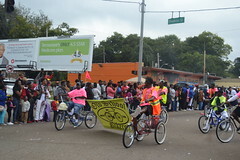 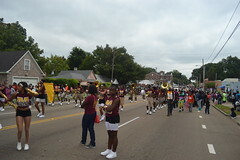 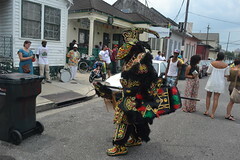 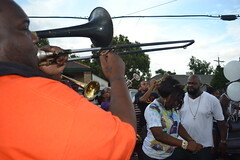 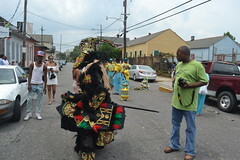 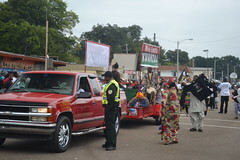 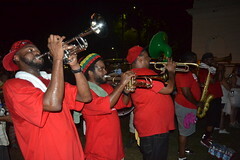 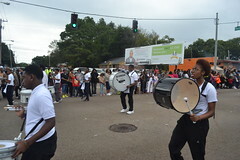 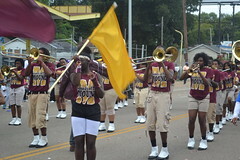 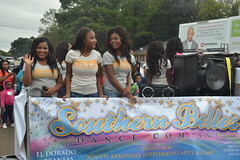 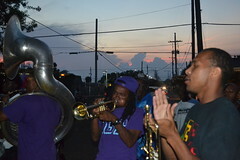 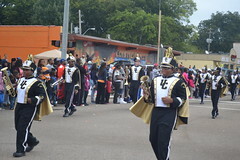 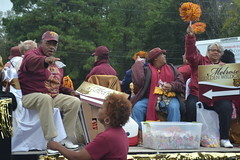 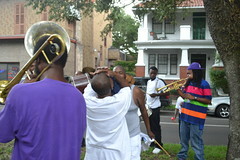 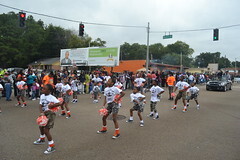 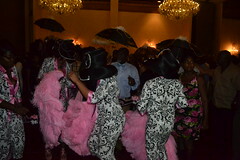 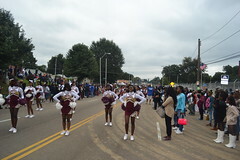 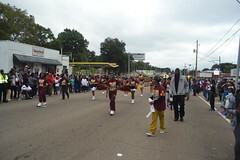 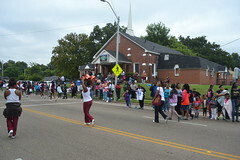 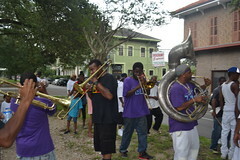 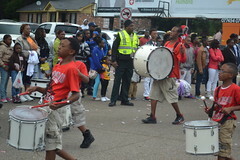 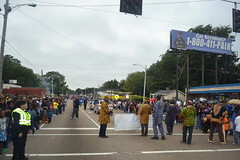 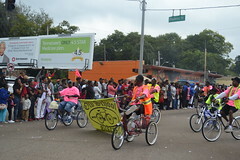 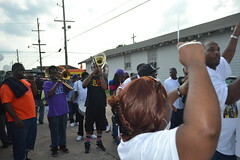 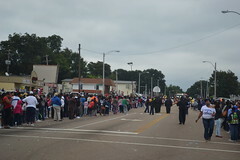 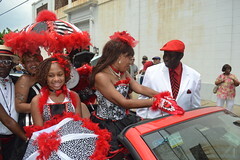 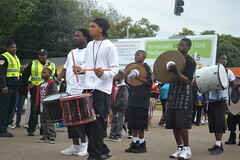 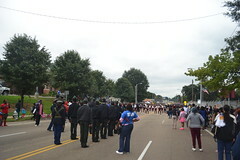 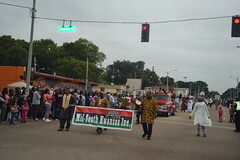 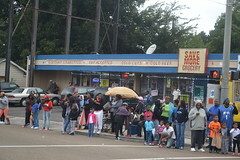 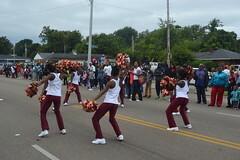 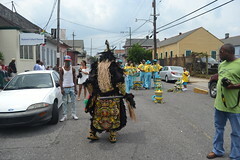 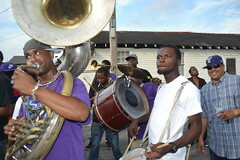 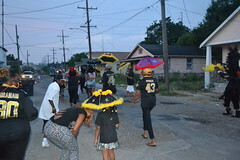 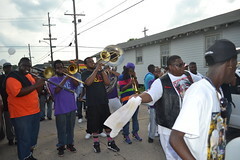 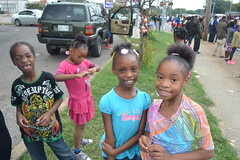 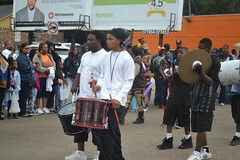 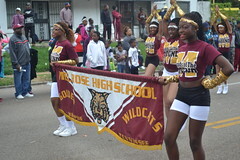 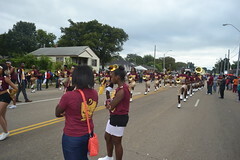 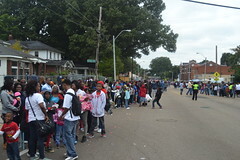 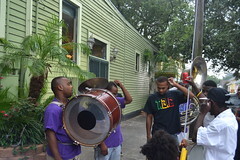 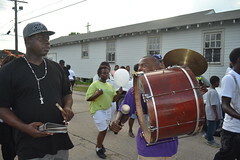 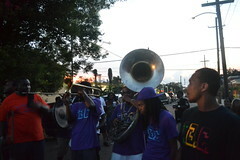 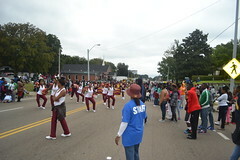 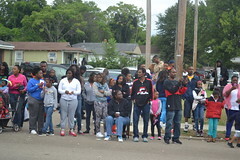 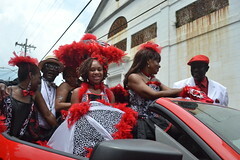 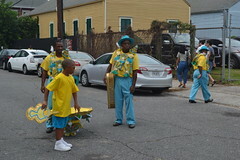 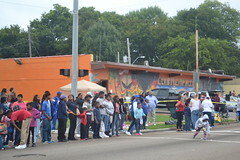 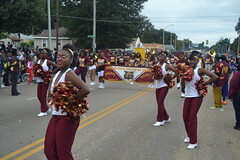 While we were waiting in the hot sun, members of the TBC Brass Band and the Baby Boys Brass Bands showed up, a number of members of the Zulus and the Sudan Social Aid & Pleasure Club showed up, as well as the Baby Dolls, a group of women and young girls dressed in distinctive costumes who usually appear early on Mardi Gras morning, and the chief and members of the Fi Ya Ya Warriors, a Black Indian tribe based out of the nearby Backstreet Cultural Museum. 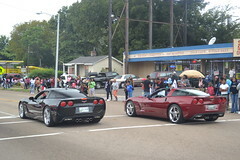 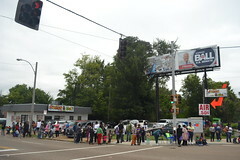 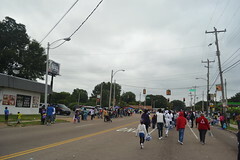 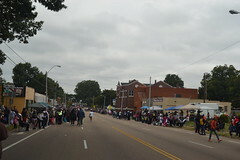 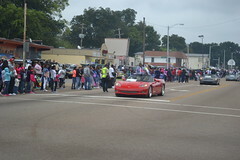 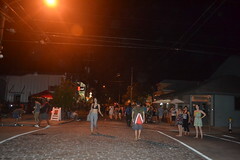 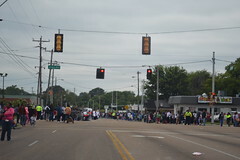 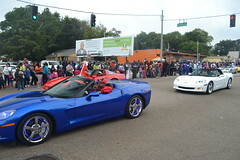 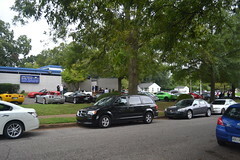 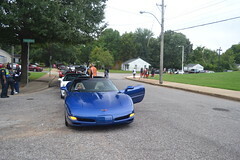 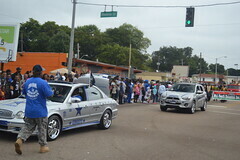 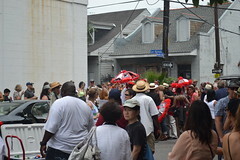 There were also vendors selling T-shirts and umbrellas, and a lot of tourists waiting for the parade to get under way. 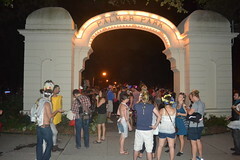 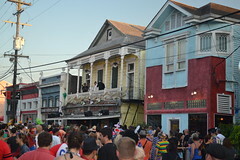 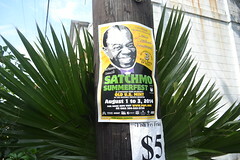 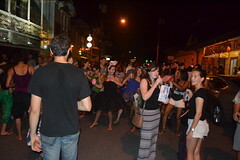 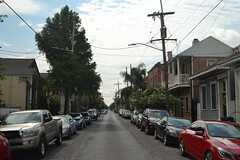 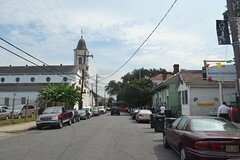 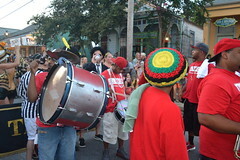 Each year on a Sunday, usually in August, the Satchmo SummerFest sponsors a second-line that runs from the St. Augustine’s Church in the Treme neighborhood to the Old U.S. Mint in the French Quarter, featuring Indian tribes, brass bands, the Baby Dolls and various social aid & pleasure clubs. 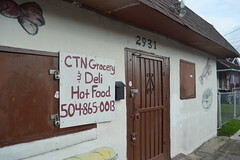 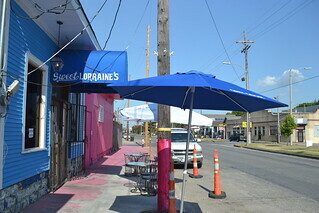 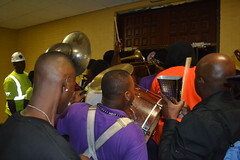 This year’s second-line was scheduled to start at 12:30, and I thought it would start on time, so I felt I didn’t have time for a leisurely breakfast down in the city, and I grabbed a quick breakfast near my hotel at the Tic Toc Cafe in Metairie. 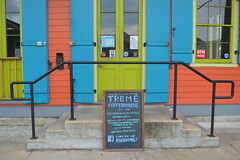 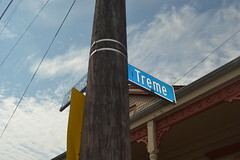 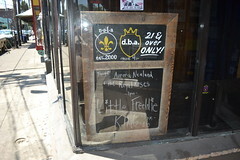 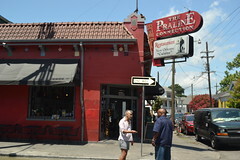 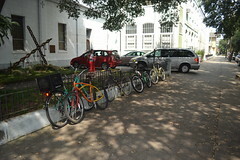 With the parking situation so expensive and limited in and around the French Quarter, I decided to park my car up in Treme, close to the start of the parade route, and, fortunately, I had no problem finding a place to park near the Treme Coffeehouse. 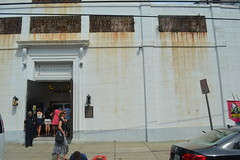 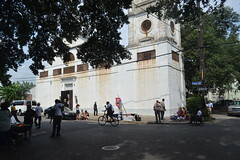 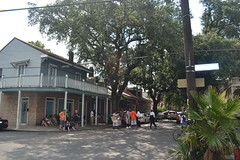 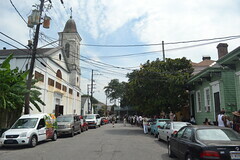 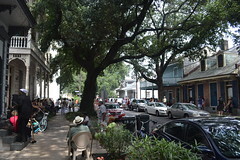 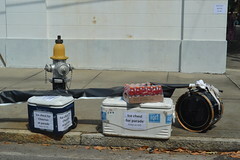 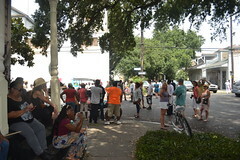 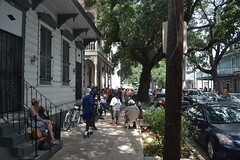 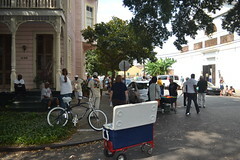 It was already extremely hot outside, so I grabbed an ice coffee from the coffeehouse, and then started walking down towards the church where the second-line would be starting. 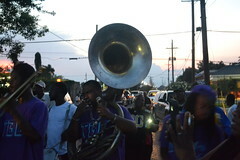 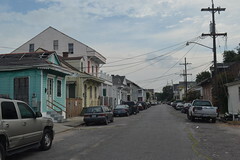 Like many other mornings when I had been in the neighborhood before a parade, the Treme was calm and quiet, but with a sort of eager anticipation in the air as well. 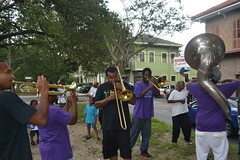 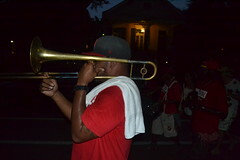 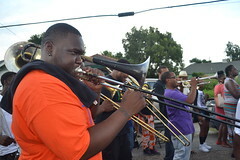 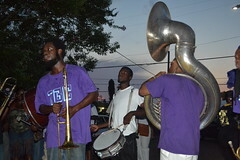 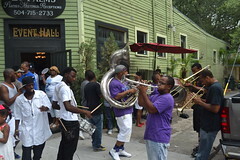 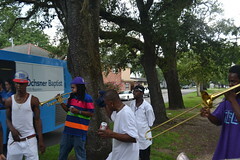 It was Satchmo Summer Fest weekend in New Orleans, and my friends in the To Be Continued Brass Band, or TBC, had invited me to spend the afternoon with them going around to their various gigs. 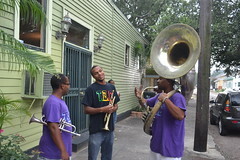 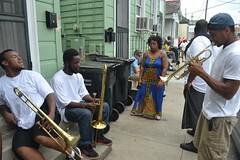 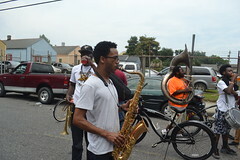 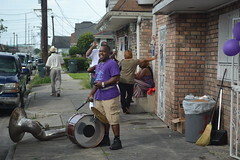 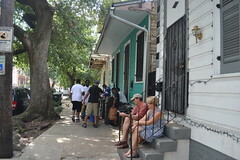 They had already played several gigs before I got to New Orleans and caught up with them in the Treme neighborhood around 3:30 in the afternoon. 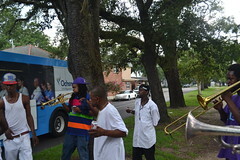 I quickly learned that there’s really no better way to get a crash course in the unique culture of New Orleans than to spend a day with one of the city’s brass bands. 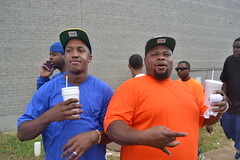 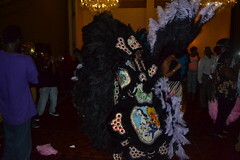 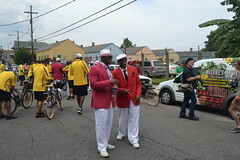 During the rest of the afternoon and evening, I rolled with the TBC from a repast in Treme to a memorial block party in honor of someone who had died recently in Gert Town, to a birthday in another part of Gert Town, to a wedding in New Orleans East, to the Divine Ladies Ball at the Mardi Gras Ballroom of the Landmark Hotel in Metairie before winding things down at the Sportsmen’s Ladies event at the Autocrat Social Aid and Pleasure Club on St. Bernard Avenue in the Seventh Ward. 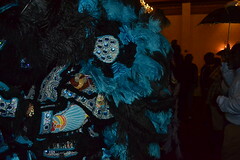 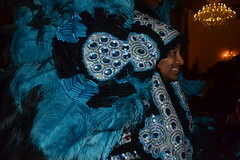 Along the way I saw much of the unique “buck-jumping” dance of New Orleans second-lining, members of various social aid and pleasure clubs, and even a few of the Indians in their elaborate hand-sewn regalia, all accompanied by the festive music of one of New Orleans’ best brass bands. 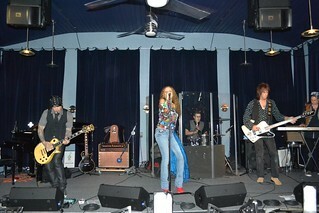 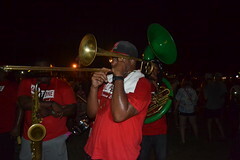 The long day of music and celebration ended at 1:30 AM, as the band members and I all headed our separate ways for some badly-needed rest. 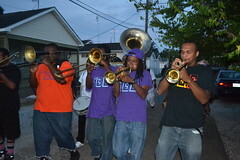 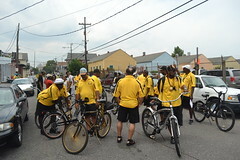 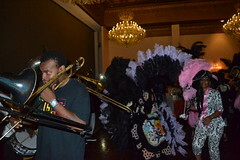 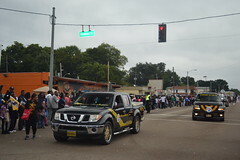 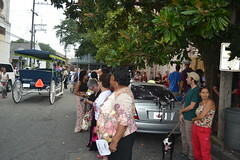 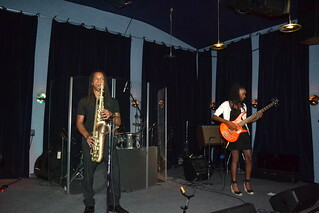 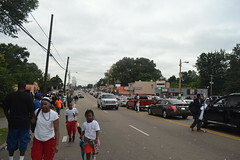 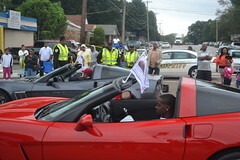 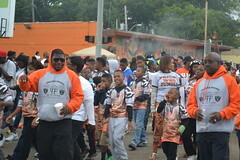 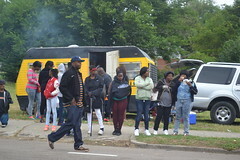 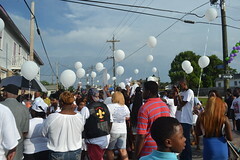 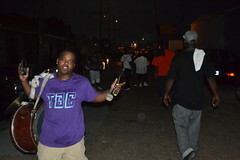 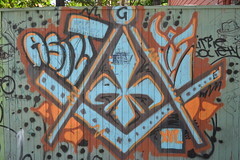 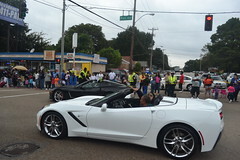 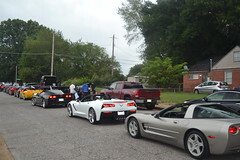 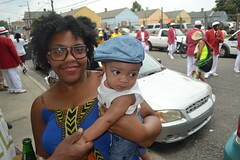 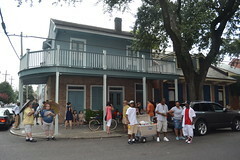 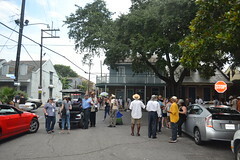 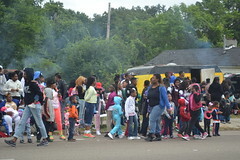 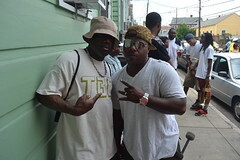 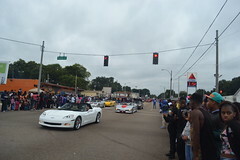 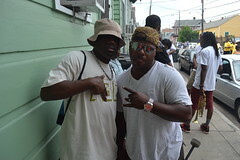 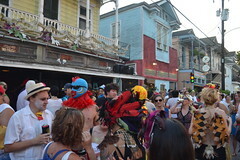 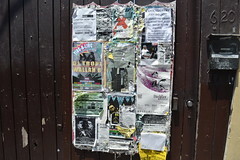 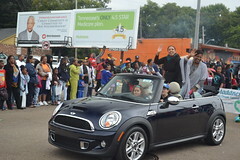 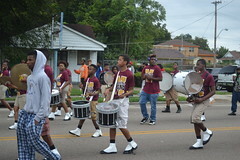 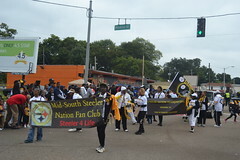 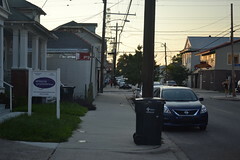 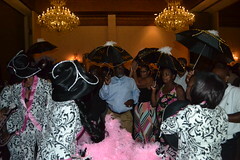 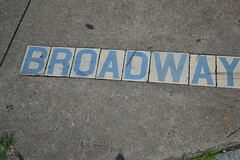 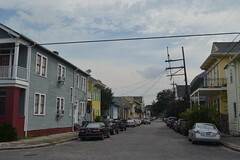 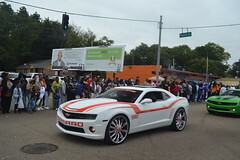 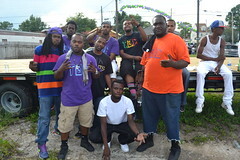 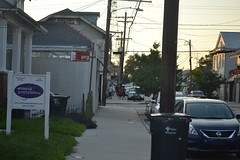 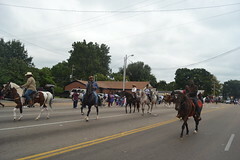 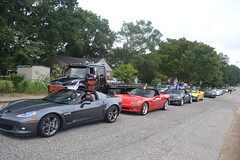 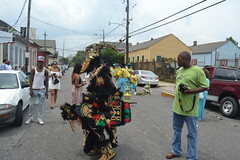 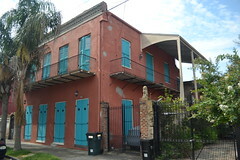 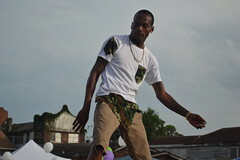 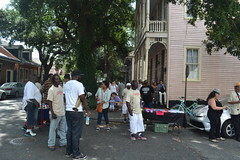 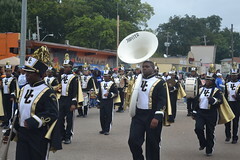 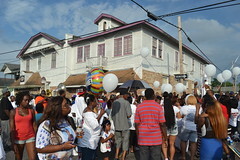 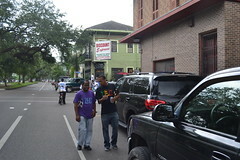 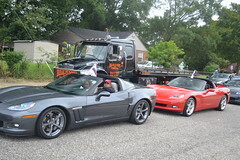 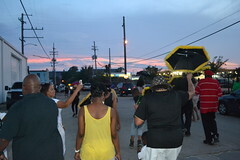 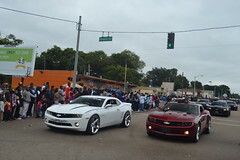 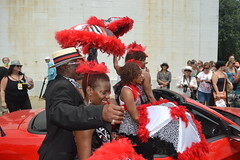 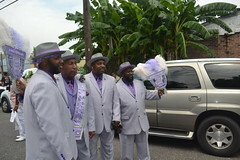 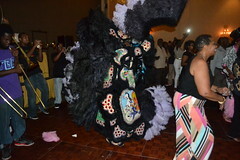 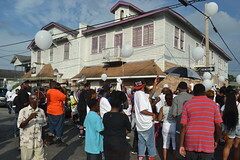 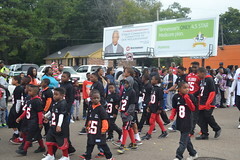 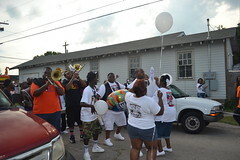 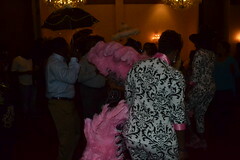 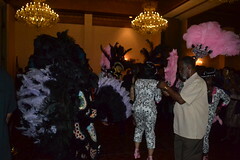 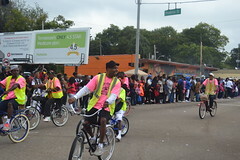 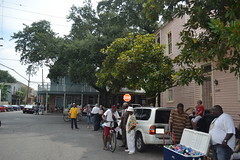 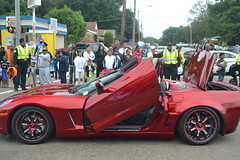 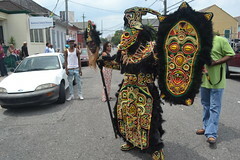 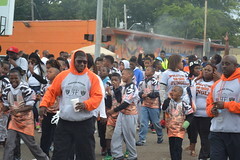 Originally, the Money Wasters Social Aid and Pleasure Club was to have had a second-line on Sunday, May 25th, and when I planned my trip to New Orleans, I had planned to go on it. 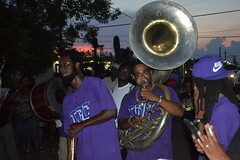 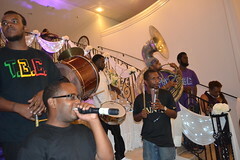 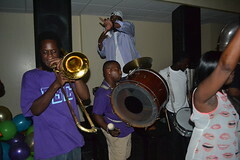 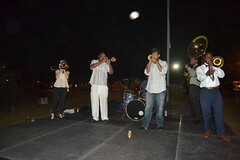 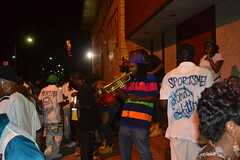 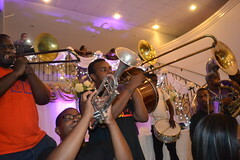 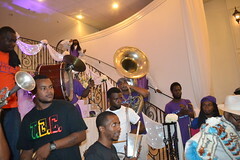 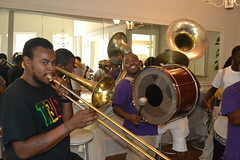 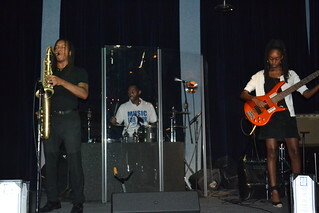 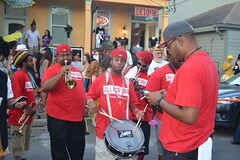 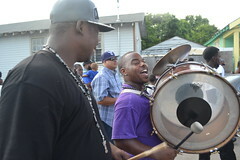 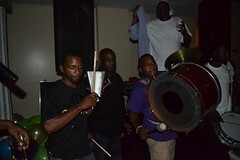 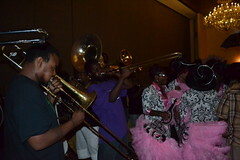 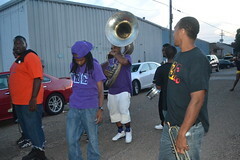 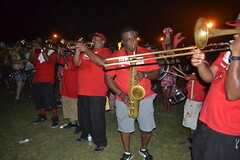 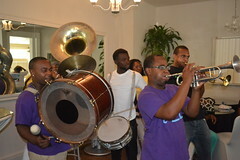 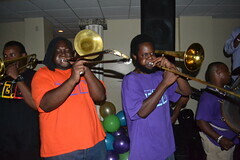 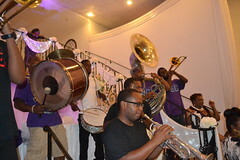 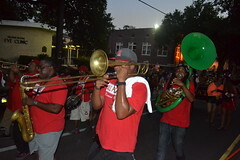 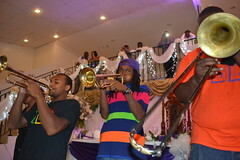 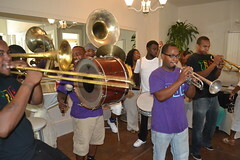 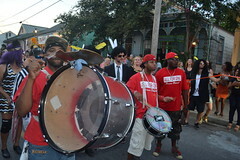 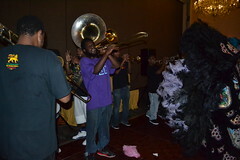 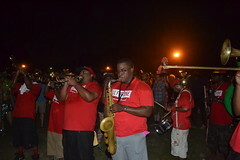 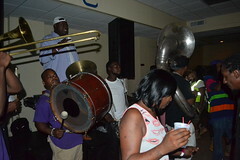 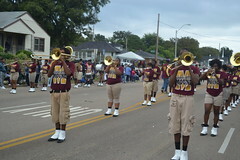 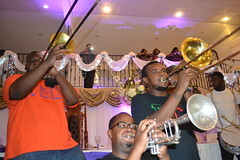 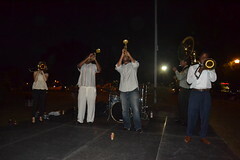 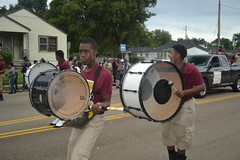 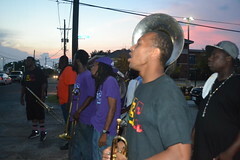 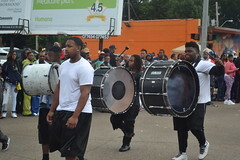 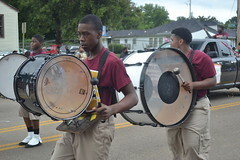 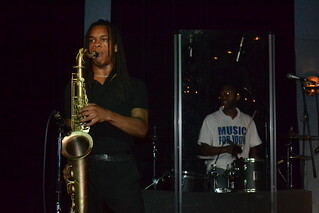 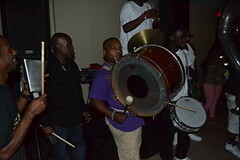 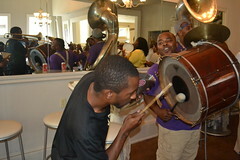 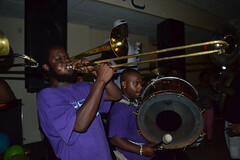 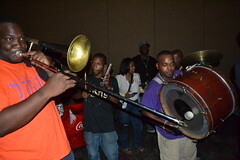 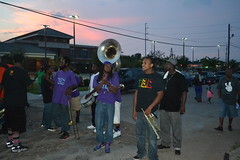 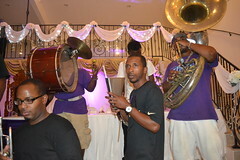 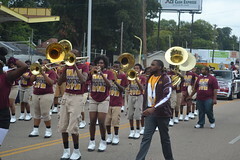 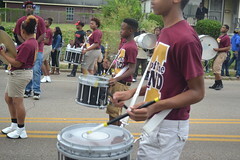 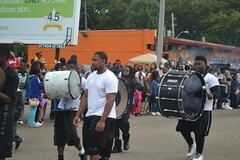 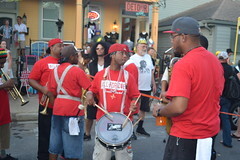 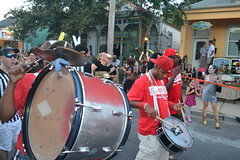 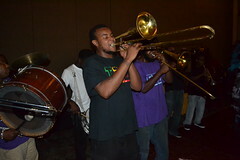 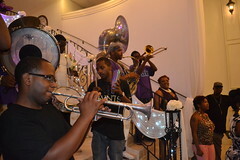 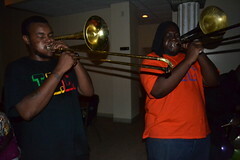 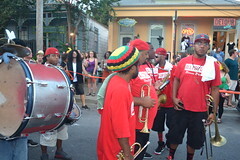 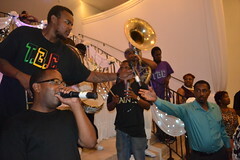 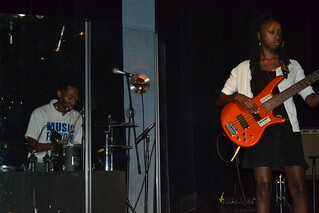 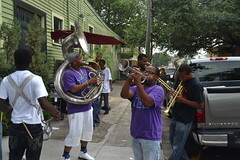 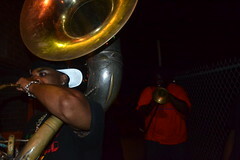 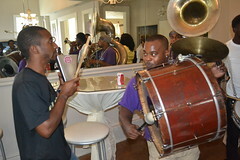 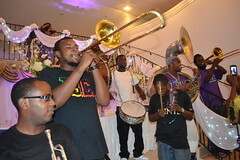 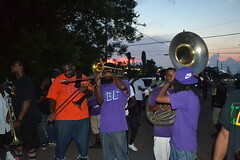 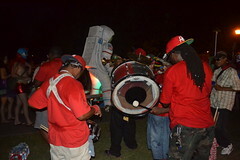 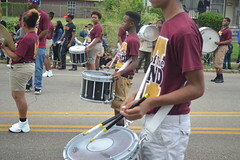 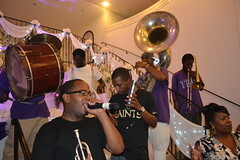 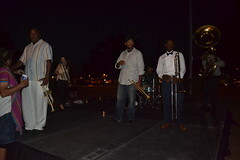 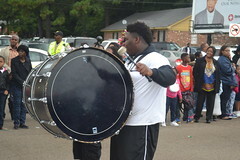 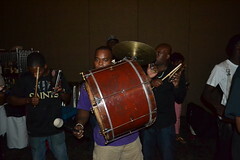 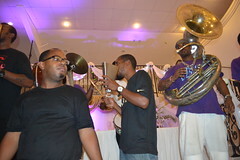 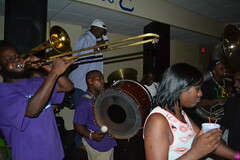 The previous year, they had rolled with my homeboys in the To Be Continued Brass Band, and it had been a whole lot of fun. 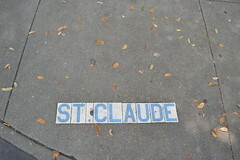 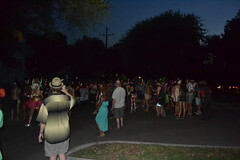 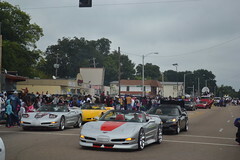 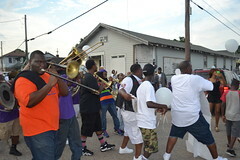 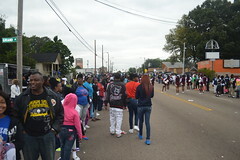 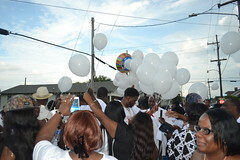 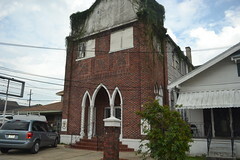 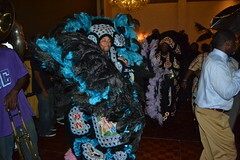 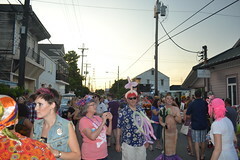 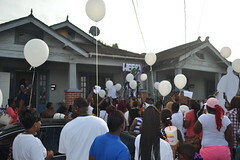 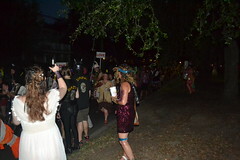 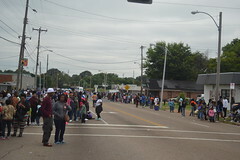 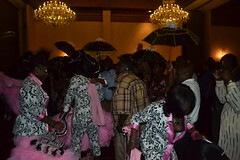 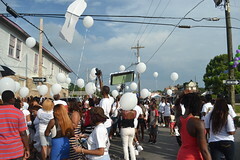 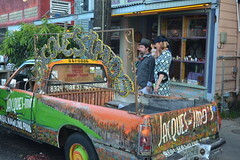 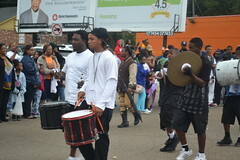 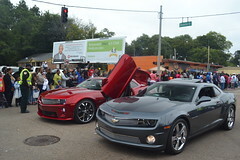 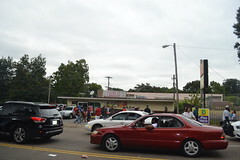 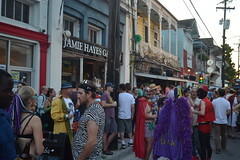 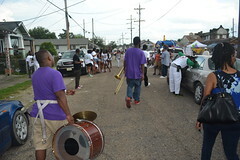 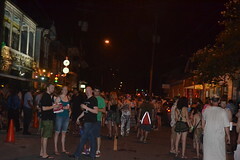 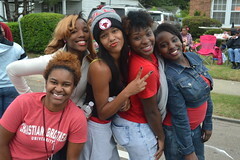 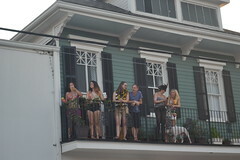 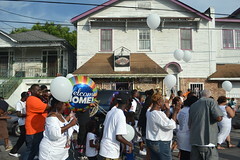 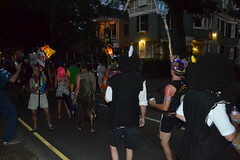 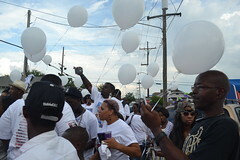 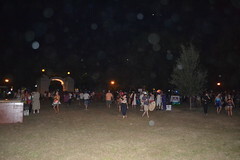 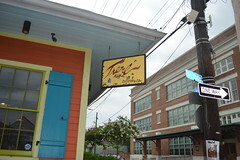 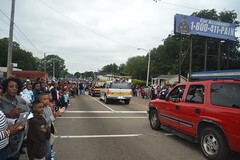 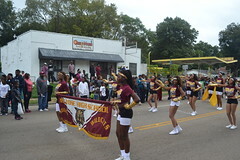 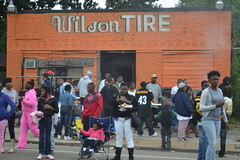 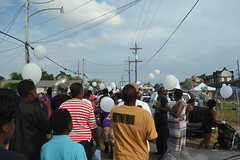 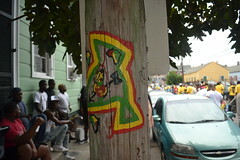 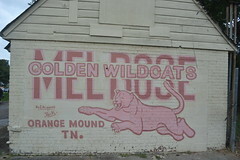 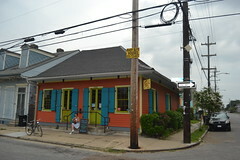 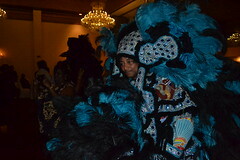 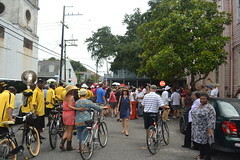 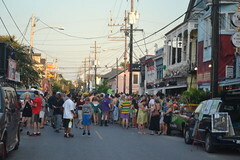 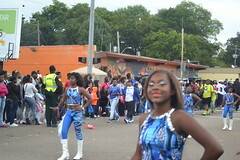 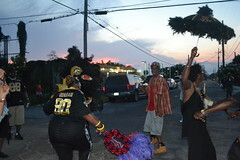 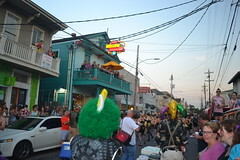 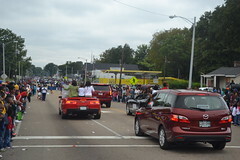 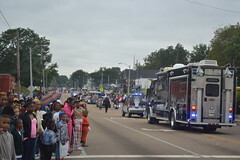 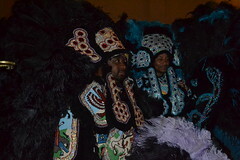 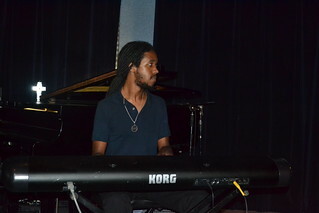 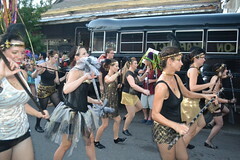 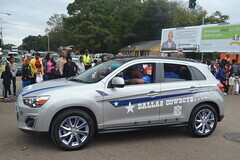 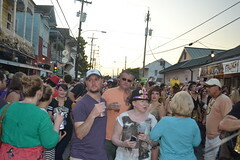 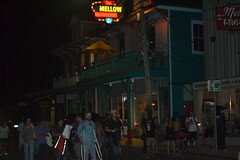 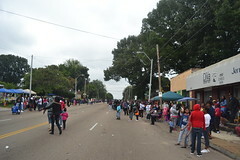 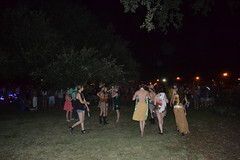 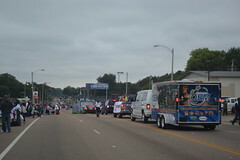 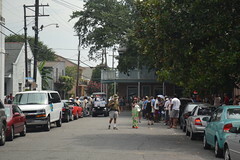 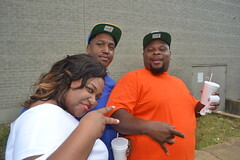 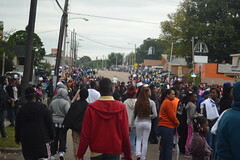 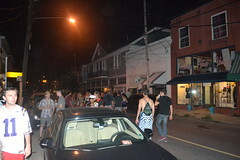 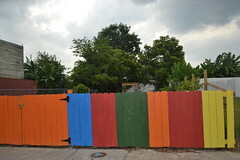 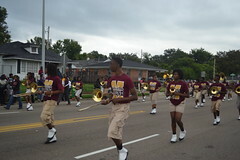 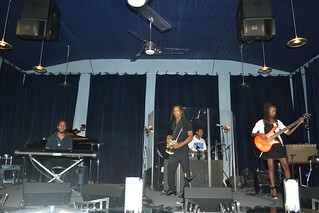 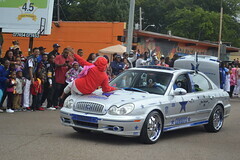 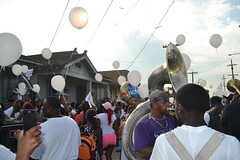 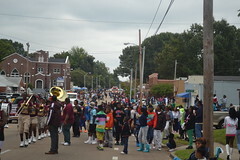 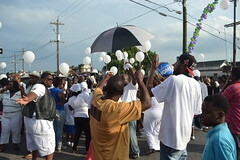 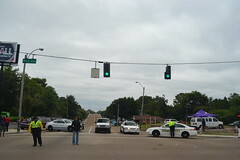 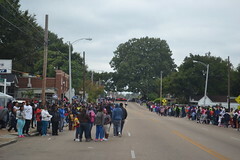 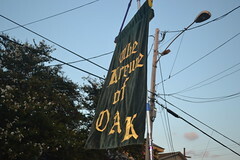 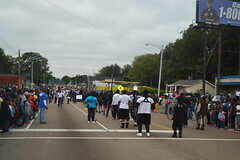 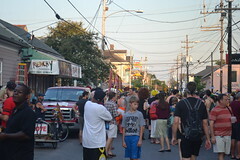 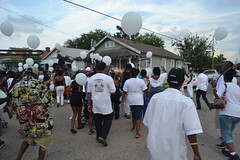 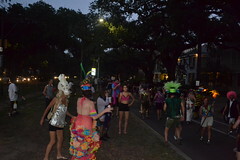 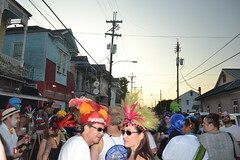 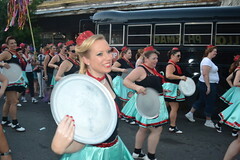 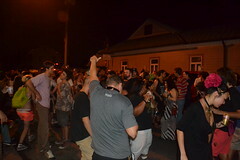 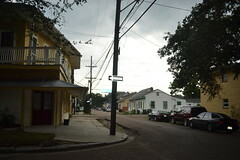 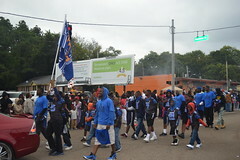 Unfortunately, this year, something had happened, and the second-line was being reported as cancelled by WWOZ Radio. 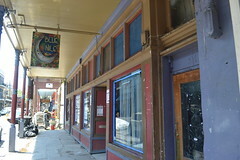 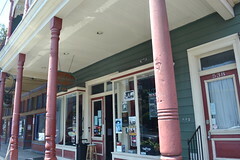 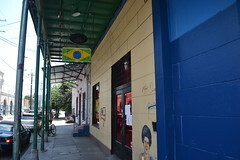 So, despite the beautiful weather, there was no second-line, so I parked on Elysian Fields and walked down Frenchmen Street toward the new location of Louisiana Music Factory record store. 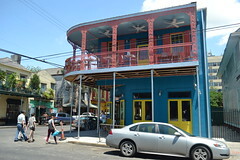 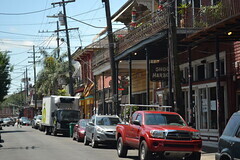 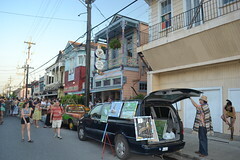 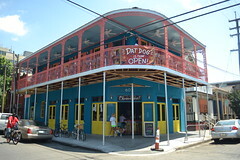 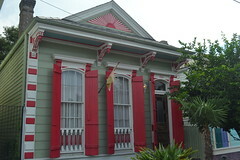 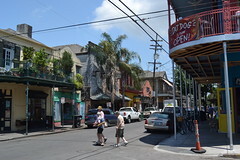 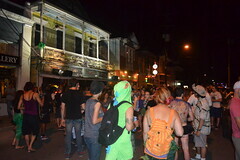 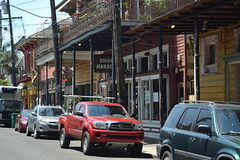 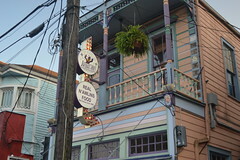 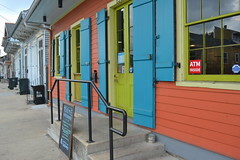 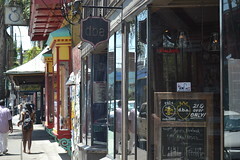 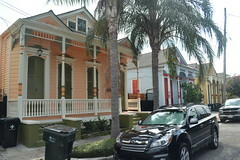 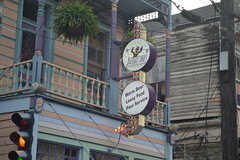 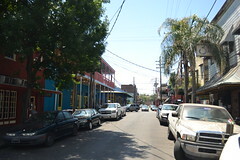 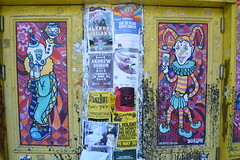 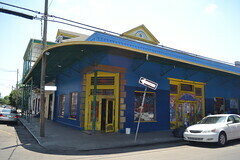 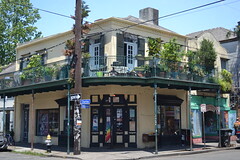 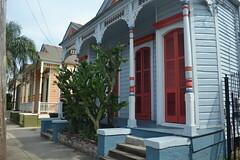 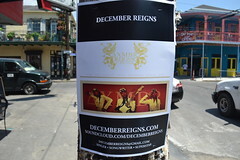 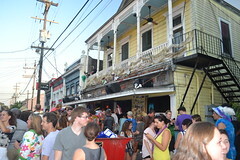 Frenchmen Street is a hotbed of night entertainment, and the best place to go for live music in New Orleans, but it is also attractive and colorful during the day as well. 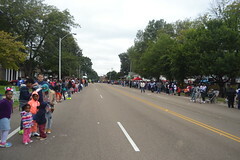 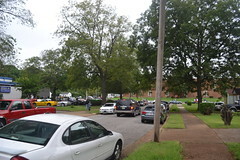 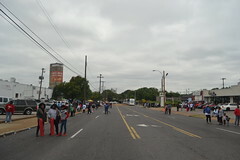 Even after we got back to the Capitol Hilton, we were in for a long wait, as our bus driver could not find a way through the parade roadblocks to the side of the city where we were waiting. 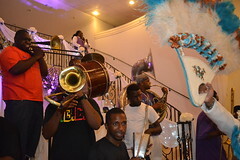 The Congressional Black Caucus was having an inaugural ball at the hotel where we were waiting, and I caught a brief glimpse of the old-school rapper Doug E. Fresh in the lobby. 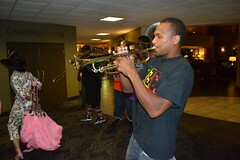 Our bus finally arrived about 9 PM, and we got back to the hotel in Maryland with just a brief window of time to get to the Outback Steakhouse for dinner. 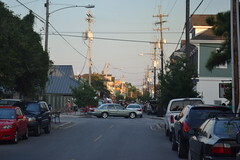 Getting back to the area of Washington where our buses were going to pick us up at 5 PM proved to be easier said than done. 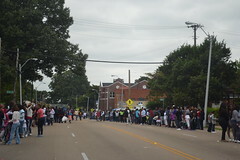 The waits to get on trains at Metro stations were about an hour, and eventually the Metro was shut down altogether for some reason. 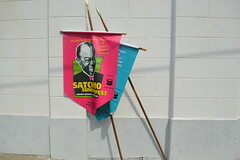 We were forced to walk out of the Inauguration area instead, but when we attempted to head back north to get to the Capitol Hilton Hotel, we kept running into barricades that kept us walking ever further west toward the Potomac River. 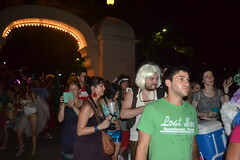 We finally were able to make it through the National Mall area when we got to 18th Street (we had started at 3rd! 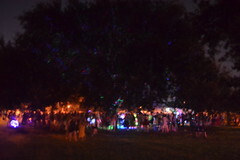 ), and the bright side of it was that we got decent pictures of the Washington Monument and Lincoln Memorial. 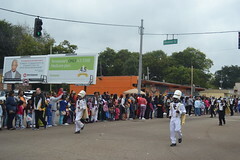 Unfortunately, tight security kept us from being able to watch the parade, and frankly after the long walk, we weren’t up to it anyway. 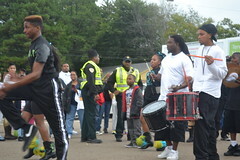 Round 2 of the epic battle between the Bellevue Middle drumline and the Star Steppers drumline near the Fed Ex Forum after the Liberty Bowl Parade, 12/30/12. 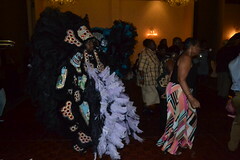 The battle ended when the parents got tired!